This week on Alcohollywood, we’re ushering in the new Spielberg film (Lincoln) with one of his last films named after the surname of one of the main characters – Hook! This 1991 nostalgia misfire, starring Robin Williams and Dustin Hoffman, explores what happens if Peter Pan wakes up and becomes a cynical workaholic lawyer who ignores his kids, complete with floppy ’90s cellphone. 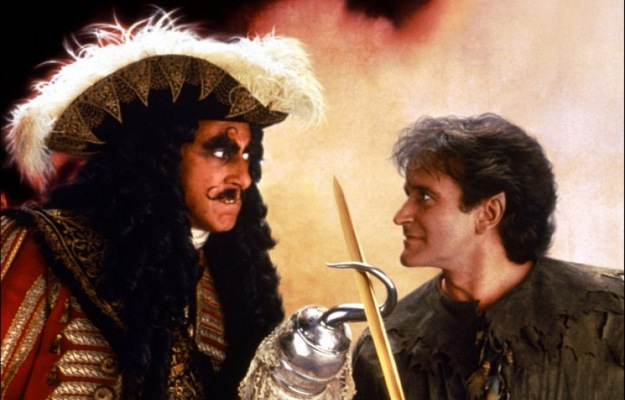 When the nasty Captain Hook (Hoffman) kidnaps his kids to bait Peter to come back, Tinkerball (a distracted Julia Roberts) must drag him kicking and screaming back to Neverland and train him for the fight of his life against Hook. Does it still hold up twenty years later? Check out our review and drinking game here! TO MAKE ORGEAT: Stir together almond syrup, sugar, water and orange blossom to taste. Combine rum, cider, lime juice and orgeat; stir. 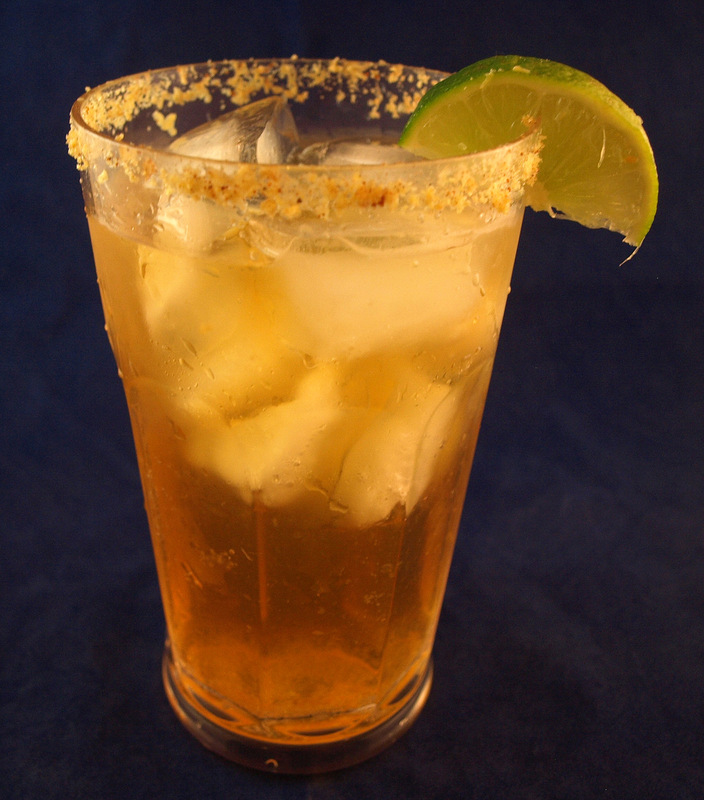 Crush Captain Crunch’s Peanut Butter Crunch into crumbs, mix with nutmeg; rum lime across rim of glass and ‘salt’ with cereal. Pour mixed drink into glass. Peter creepily whispers, “Thank you for belieeeeving!” as he flies away from the Lost Boys. See you next week, when we discover what is best in life with the 1980s Schwarzenegger classic Conan the Barbarian!